Congrats to Margo for a successful poster presentation at the UTRA symposium! Welcome to Denai Benopoulou, who is joining us as a research assistant! 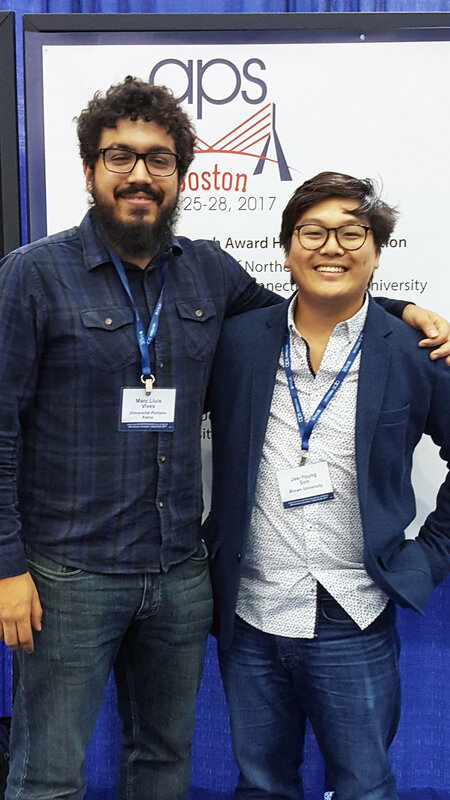 Congrats to Marc and Jae for presenting posters at APS! Congrats to Margo Hu for being awarded an undergraduate research grant (UTRA) to conduct research in our lab over the summer! Welcome to Amrita Lamba, our newest graduate student! Welcome to Marc Lluís Vives Moya, a visiting PhD student from Universitat Pompeu Fabra! Congrats to Oriel for being designated a 'Rising Star' by the Association for Psychological Science (APS)! The Rising Star award recognizes early-stage researchers who have already made great innovations in psychological science and who show potential for continued contributions. Welcome to Tali Sorets, who is joining us as a research assistant! Welcome to Ameyo Attila, Margo Hu, and Willy Lee, our first cohort of research assistants! The FeldmanHall Lab officially opened its doors today, welcoming Joey Heffner as its first graduate student and Jae-Young Son as its first lab manager!